President Dr Lobsang Sangay presenting a memento to Shri Mohan Bhagwat, chief of Rashtriya Swayamsewak Sangh (RSS) along with Settlement Officer Gonpo, President of Local Tibetan Assembly, President and Secretary of Cooperative Society and Shri Vijay member of Tibet Support Group. Nagpur: The President of the Central Tibetan Administration Dr Lobsang Sangay met for the first time with Shri Mohan Bhagwat, chief of the Rashtriya Swayamsewak Sangh (RSS) during his visit to the Norgyeling Settlement in Bandara, Maharashtra. The meeting which took place at Shri Mohan Bhagwat’s residence in Nagpur this evening saw the leaders discuss on key issues relating to environmental and political situation in Tibet, Indo-Tibet ties and the geological impact of the ongoing situation in Tibet on India and rest of the world particularly the South Asian countries considering the strategic significance of Tibet. Calling India and Tibet as “Family”, the RSS chief assured his support and to render his voice to raise the issue of Tibet. Upon his arrival at Nagpur earlier today, Dr Sangay made a brief visit to the Deekshaboomi Buddhist Temple, a sacred monument of Navayana Buddhism where the architect of the Indian Constitution Dr B R Ambedkar embraced Buddhism in 1956. The president also visited the Dragon Palace Buddhist temple where he met with Ms Sulekha Kumbhare, member of the National Commission for Minorities. 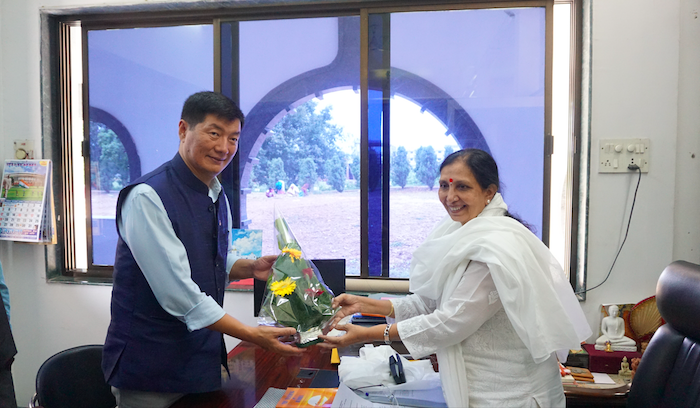 She assured her support and assistance towards the problems faced by the Tibetan community of Norgyeling Settlement including the land demarcation under the Tibetan Rehabilitation Policy 2014. The President is scheduled to meet and address the Tibetan community of Norgyeling Settlement tomorrow. 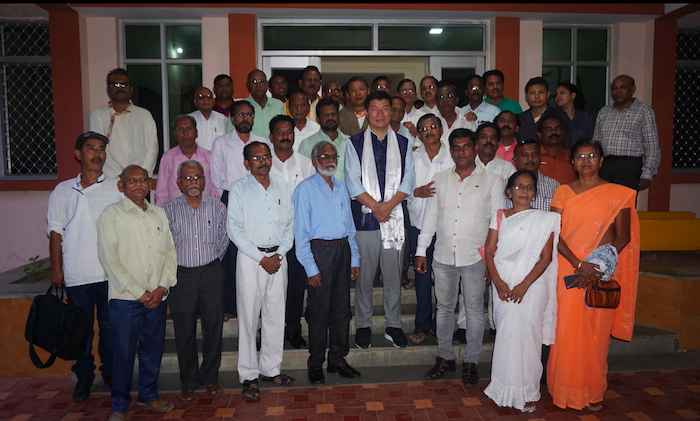 Members of Tibet Support Group, Nagpur and Wardah with CTA President. CTA President with Ms Sulekha Kumbhare, member of the National Commission for Minorities.